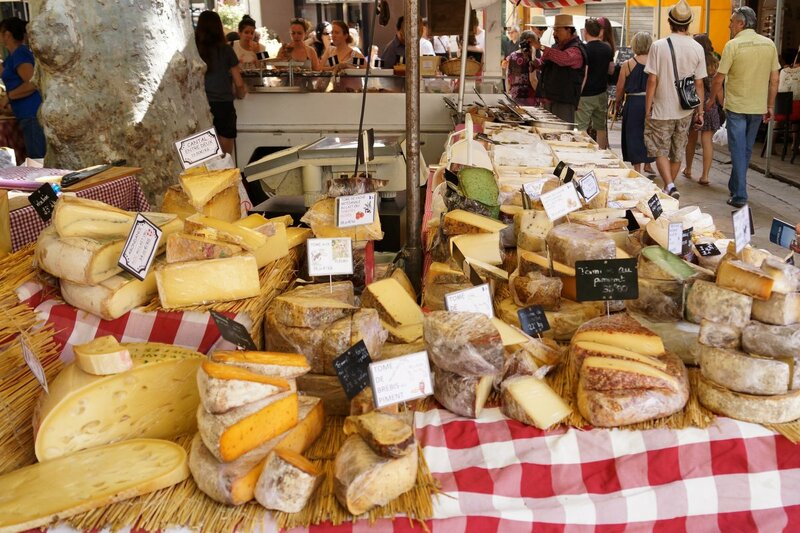 For cheese fans everywhere, France is the place to be. Here are a few impressions from my visit to the market in Aix-en-Provence. I would have loved to have tried every last one of those countless varieties of cheese. I go weak in the knees for cheese like this. The best friend of my favorite Schwabe is married to a lovely French woman who puts new meaning into the word “dinner party”. Not only do her and her husband pull out all the stops and deliver a delicious gourmet meal, but what I especially look forward to is the end of the meal when the cheese plate arrives. That is the fabulous thing about France and French culture—there is always cheese served at the end of the meal. The quality is none other than exceptional, as are the extensive discussions about how great the cheese is—it’s all part of fashioning an fantastic evening with a fantastic mood—serving only the very best. Irecently read an article in the Wall Street Journal that the French eat more cheese than any other nation in the world. Which brings me to the ‘French paradox’. It still baffles to me. Despite a diet bursting with cream, butter, cheese and meat, the French remain effortlessly chic and slender, whatever their age. Almost every small village in the country is filled with bustling outdoor markets featuring amazing local delicacies, from homemade sausages to farm fresh chevre, and don’t forget the truffles. Not to mention the incredible selection of vegetables. Some of which was quite sizable! 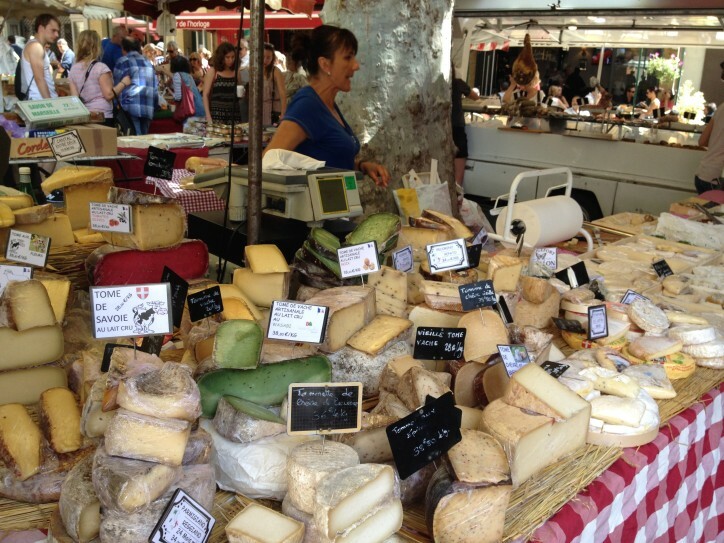 The fresh outdoor market in Aix-en-Provence was brimming with locals every day of the week—it was amazing to see. The French savor their food. They are passionate about food. They are devoted to the food experience. 76 percent of the French eat meals prepared at home, and often both dinner and lunch (a 2 hour mind you). The family dining table is prized. As is their love for cheese. In 2013, the International Dairy Federation reported that the French at almost 30 kg cheese per person—that’s half a kilo (1 lb) per week. That’s an enormous amount. Closely followed by Iceland, Finland and Germany­—in 5th Estonia. Europeans love cheese. Gotta love it, gotta have it. Being a fan of goat cheese, have you ever wondered how such a simple ingredient such as goats milk can be made into so many different types of cheese? 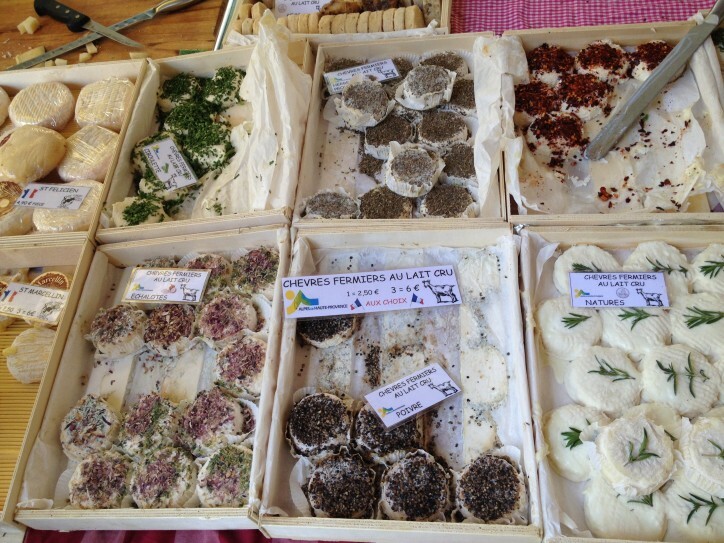 Here’s a look at Chevre, one of France’s most cherished food traditions.